A new type of education is coming into being with a special focus to inculcate three major genres of education in a child: Reasoning, Psychomotor and Emotional Learning. Our Sports and Co-curricular activities are centred around these changing trends and are aimed at delivering a complete education. The school has its own playground for students with a provision for athletics, indoor games and outdoor games where they can hone their Psychomotor skills. The campus accommodates a Badminton court, a Basketball court, Volleyball court, Football field, a Yoga centre and a children’s play area. 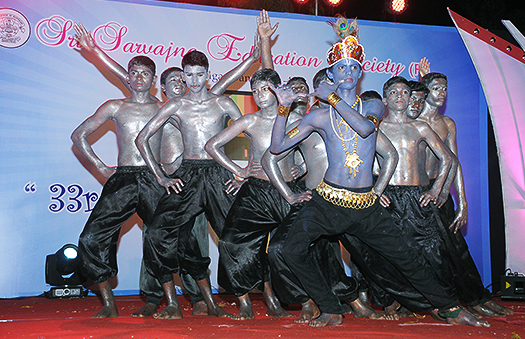 The school also has a wide array of cultural activities that not only upholds the spirit of significant people and their impact on society, but also recognizes and spreads the message to a greater extent. Celebrating Women’s Day, Science exhibitions, going on excursions and conducting village surveys provide a great exposure for our children to learn about the various contributions that have impacted our society. These activities go in tandem to hone a complete individual out of a curious child.